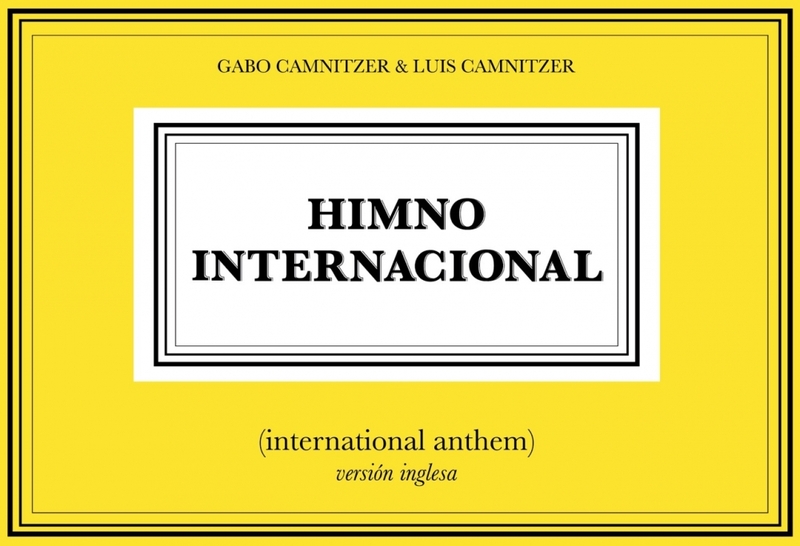 Luis Camnitzer's collaboration with artist Gabo Camnitzer is included in the 11th Mercosul Biennial, Porto Alegre, Brazil. Created in 1996, The Mercosul Visual Arts Biennial Foundation, based in Porto Alegre, the capital of Rio Grande do Sul, is a private, not-for-profit foundation dedicated to preparing and organising the exhibition and events that comprise the Mercosul Biennials. The Mercosul Biennial positions Brazil as an international reference point in the visual arts. In addition to promoting integration between the countries of Mercosul through art and promoting Latin American art as a whole, the Mercosul Biennial provides access to culture and art for thousands of people. The Mercosul Biennial has a different nature from other biennials in the world. Going from the regional to the global, it is founded on the economic treaty and geopolitical boundaries of the countries that make up the Mercosul. In this sense the Mercosul Biennial takes on a strongly symbolic and affirmative dimension of the potential of Latin American nations as a whole. The Mercosul Biennial proposes legitimisation of these countries’ identities in the global arena, without neglecting to establish relations with global contemporary art. In another sense, the Mercosul Biennial model is unusual because it prioritises school audiences. A considerable share of both human and financial resources is invested in education projects for each of the Mercosul Biennial exhibitions. Associating sponsors and co-workers with the best practices of social responsibility, the Mercosul Biennial recognizes education and democratic access to the visual arts as concrete instruments for the practice of citizenship and constructing a fairer society of solidarity. It has developed a range of projects to offer opportunities for the social and cultural formation of its visitors.